Clear thinking works as a seed for good writing. Clear thought process about the qualifications, goals and why all this will fit together…will bring about a tremendous level of success in your writing. Simple summarization or restructuring the reasons might not help. Creativity is good but it needs to be tamed and has to be subtle which will take care to not to distract the core aspect of writing college application essay. Application essay for college admissions happens to be the first impression on the admission authorities as it reveals your aptitude of writing in brief which is understandable on any topic given. It favors you by making you stand apart in a crowd of lot more applicants. It is something that you would want the reader to know about yourself in addition to your academic achievements and personal background. SchoolandUniversity has made an effort to guide you students with this initial but so very important aspect of higher education. Which topic to choose for application essay writing? What should be the word count limit? Dos and Don’ts for writing an application essay? The brief write up by an applicant who happens to be a potential student; is widely known as Admission essay, Application essay, personal statement or Essay at times. As the name specifies it is usually written for admissions in graduate schools, colleges and universities. It has now become an integral part of the college and university’s admission process. Students may see variations with regards to number of essays to be written, optional or supplementary. Reasons for applying to a particular school. Articulating the question above; individuals are advised to select topics on Personal Essay's for Grad School Application; which gives you the flexibility to express yourself or things about you which the readers or the examiners would not know from your academic transcripts and scores. These are the topics which need straight from heart and mind thoughts to flow in form of words. They do not have anything to do with your high or low SAT/ACT scores or your previous academic achievements. Age group of students writing these essays; it becomes difficult for them to express themselves with regards to “YOU” factor. But to the help of all; the admission authorities are also not perfect and they for sure know that applicants are also not perfect. This helps applicants when they try to show something different from the fact “I AM PERFECT”. Be yourself as it is the only thing that would make your essay more realistic, interesting and different from others which will help the admission authorities to know your real self and imagine you walking around in the campus attending classes. Usually it is a set expectation of most of the colleges for the essay length or the word count to be of approximately 500 words. 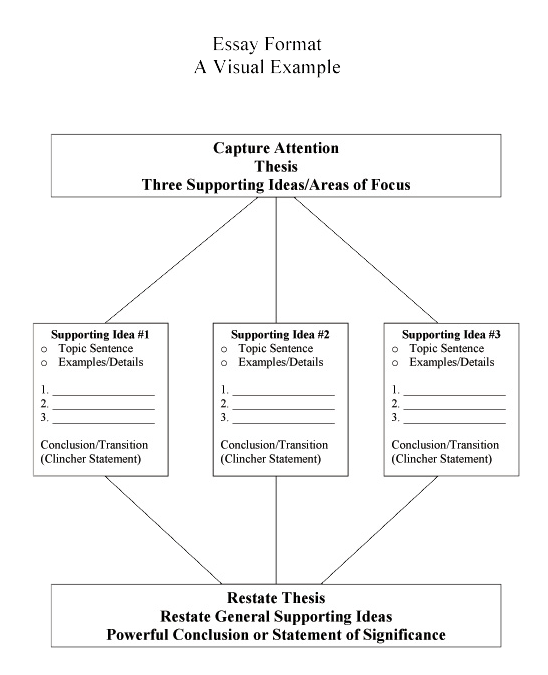 A five paragraph style of writing the essay would help achieve it in an appropriate manner. Introduction – followed with three middle paragraphs – followed with the last paragraph of conclusion will help a lot. 100 words per paragraph are expected from individuals in order to attain the 500 word benchmark. Though 500 words is the benchmark, carefully reading the application instructions would certainly help as the benchmark may tend to change for varied colleges. Few may have a prerequisite of longer and few may like to have shorter essays. For longer essays follow the same basic format while you keep on extending the individual sections by adequate number of words. Unless asked for a different length or extra word count, stick to the 500 words essay as your target. Essay writing has been an integral part of the American education system since decades and one may find common essay questions as well; but there is no right or wrong, appropriate and adequate way or technique for writing an application essay has been derived. Our team of experts derived some Tips for Crafting Your Best College Essay; helpful to majority of students. The fact remains that the application essay is to be of minimum 250 and maximum 500 words; we should not forget that the application officer would have huge heaps of essays to be read in a given deadline. Willingly or unwillingly the officer will not be spending more than a stipulated time for reading your essay. Writing more than required and away from the topic might do more harm than benefit hence; it is advisable to stick to the point by keeping it short and crisp. Exaggerating your accomplishments could be the dumbest thing you can do. It’s all right if you do not know everything about everything. Just keep things real in your essay. No need to brag about anything. Before initiating the write up...question yourself “How is it that I can stand apart from other applicants”? It is neither your activity nor your interest. You are a teenager and doing things that suits a teenager. So what do you think...and this is what is assessed in the essay and hence if you come out as a different entity than all others…it will certainly help. This essay being so important for your further education and so no individual would like to take any chances by giving illogical statements. Logical thinking and logical reasoning would be the “MANTRA”. Attempt and write only one subject at a time in your essay so as to not to sound too superficial and scattered. Your essay happens to be the précis writing of what you actually do and the colleges surely expect it to be incomplete. So why not go with their expectation. Using the spell check tool for every statement you write will not lead you to perfection; you are supposed to do so without anyone saying to do so. Other intricacies including punctuations, commas, and semi colons also carry their weightage. It is mandatory to write appropriate and perfect knowhow of the subject. In case you are writing for Richard Attenborough don’t say he acted in Indian film “Gandhi”. Write something that the invigilators are interested in knowing or are expecting out of you. Essays are equivalent to stories. Essays can also be termed to be story or the facts of a particular moment. It is you who will have to provide that imaginary visuals to the reader. Using names to the characters in the essay would make them more individual and compassionate. It at time implies to the reader that you as a essay writer are imagining him appreciating your write up; which at times the reader would surely do. Colleges want the applicants to look up to them as communities. A place where people get along with each other, walk in the dormitories – calluses and the entire campus. Are you friendly enough that they can imagine you as one of them? Are you in a position to put across your thought process though strong but in a friendly manner to them? This is what is required when we say “Friendly” while writing your essay. You cannot predict how your humor would be taken or considered by the reader and hence a simple advice is to use your humor carefully. Think twice before writing in anything funny; think from the reader’s perspective. Examiners have to read so many essays which are sort of beating around the bushes I.e. they are tasteless because they are not from decisive writers. It is ok to include current affairs, religion, economic affairs and so on; but when you yourself are balanced with your thought process. No need to get into a mode of depicting that you have the final take on it. Giving reasons and arguments keeping in mind other’s perspective is always helpful. Colleges are the place where a lot of healthy discussion takes place and hence write the essay keeping this fact in mind as if you are discussing it with someone where you have to give due respect to other’s view as well. Colleges are supposed to be a place for intellectuals; where you meet a lot of people in your age group with tremendous diversity of thought processes. Colleges always have their secrets; however they try and gauge your fitment in their environment. Hence it is very beneficial to surface out as an intellect. Portray what gets you going and better than others. Smartness here is not with regards to your academics, it is all about which are the subjects that interest you the most. Now that you have learnt quite a few things about an application essay; now is the time to learn the last but not the least aspect of writing an application essay. It is the conclusion or wrapping up your write up for the reader. One of the best ways to define conclusion here is that it is something that can link the introductory part with the end of the content and that too in a very positive manner. It has to give out a bit of a realistic picture and not a cheesy approach. Convincing the assessor while explaining the reason that you are the best fitment including activities, experience and qualification is a major task. Every thought articulated in form of words will have its own importance. The essay is short enough and the conclusion is the shortest in reciprocation to the length of the essay; you would surely want the assessor to remember you and your essay in his good books. On completion of reading your essay you would want the assessor to co relate and visualize your essay, application and on top of all your name; at a very positive note as the best fit. Never commit a mistake of using phrases such as finally and in conclusion as they reflect your inexperience in writing and lack of experience. They do not send out any individual meaning as well. Restating or summarizing your argument in the conclusion will take its toll on time and space. All these two things would certainly bore the reader and same would reflect in your assessment and consideration for the position applied for. The age group you belong to have something special which other age groups lack in some or the other way…it is the PASSION. Pour down your passion for education and may be the career you are planning to pursue after this academic attainment. Discussions with family members, seniors or close friends would be of great help in articulating your passion in form of words while writing the essay. Net net it is last chance in form of concluding the essay to convince the reader to select you. Application essays are magnificent opportunities for displaying what you really are, what is your thought process, how can you push your limits to perform and of course your sense of humor and realistic approach. Here is a quick recap of the Dos and Don’ts….. Address all the aspects of the essay questions Write what you think college admissions people want instead of what you really think. Recollect a time or experience of failure in your life; its affect on you and the lesson you learnt. Share the incident or time when you withstood an idea or a belief. What provoked you to do so? Would you repeat it again? Place - Environment – company; where you feel totally contended. What do you do and experience in such contended state. How does it affect your life? Depict Incident - Accomplishment – Event, Formal – Informal, in your culture – community - family; which changed you from a child to adult. Graduate School Admission Essay Samples are readily available for reference on the World Wide Web.